Galvanized buckets & cans repurposed into a container garden! When our waste management company provided large, rolling plastic containers, we were left with an assortment of galvanized trash cans. Then we moved and inherited more cans and wash tubs! What to do with too many galvanized containers? Why, make a galvanized garden, of course! Drill drainage holes in the bottoms of the cans first. Group them together and then fill with soil and compost. (Note: group first, they are heavy once filled!) 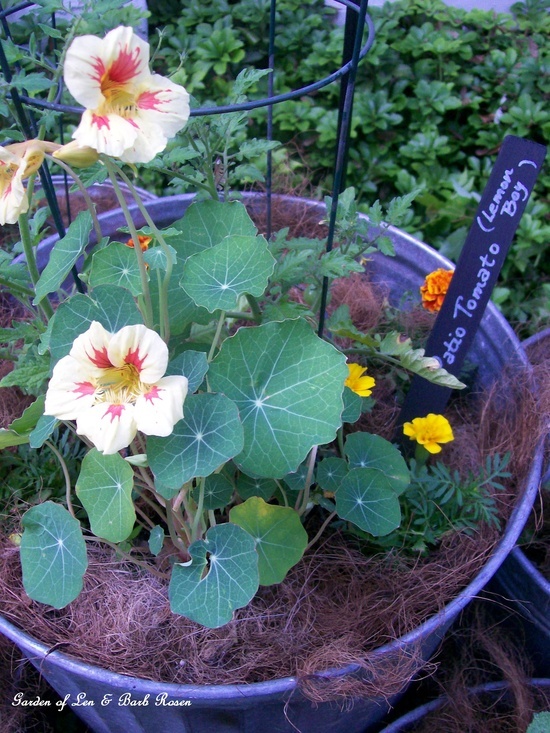 Now plant with herbs and vegetables and companion flowers. I planted chives, borage, several varieties of tomatoes, green onions, rosemary, nasturtiums, marigolds, basil, sage, parsley, thyme, rosemary and dill. It was amazing how much these containers could accommodate! This little garden is also protected from our rambunctious Labs because it is raised off the ground! Wooden spoons from the Dollar Store and free paint-stirring sticks make great plant markers. Just paint them with chalkboard paint and use a permanent white paint pen for long-lasting labels. 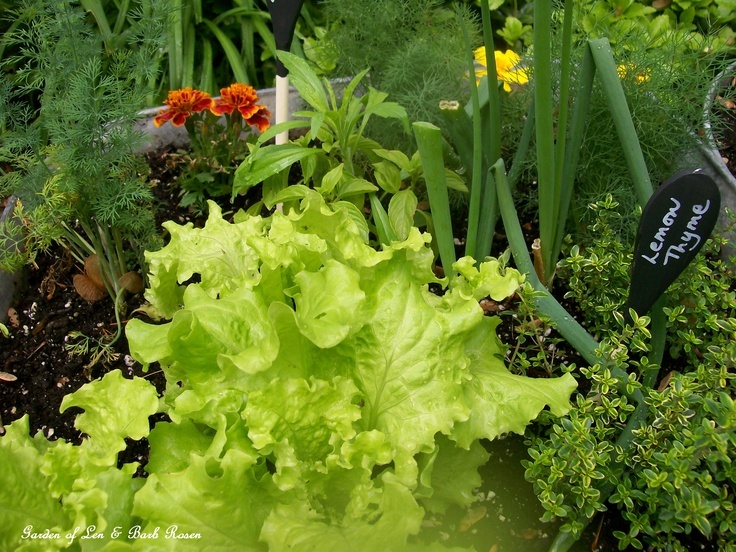 In its third year now, this handy-dandy little kitchen garden is just outside the door for easy access when cooking. Best of all, I am doing some garden redesign and can move these containers with a handtruck to their new locations. 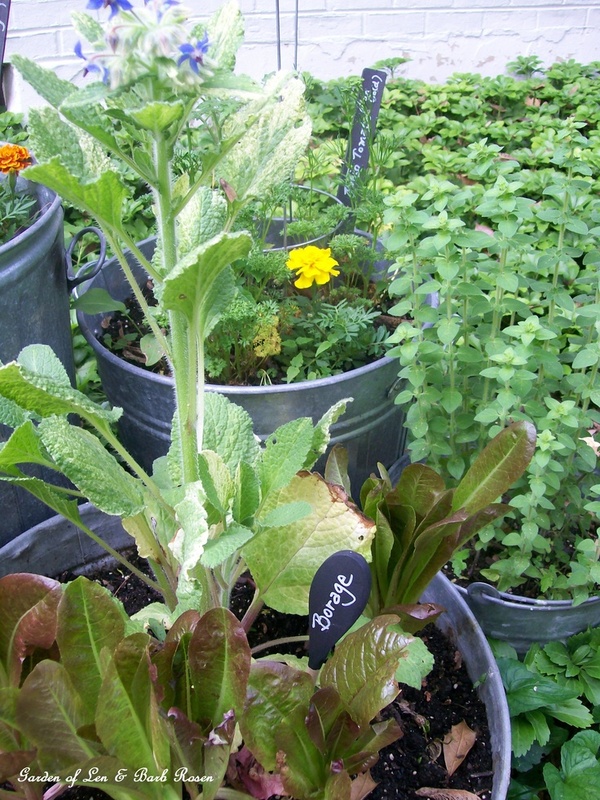 So, don’t toss those old garbage cans – make a garden! 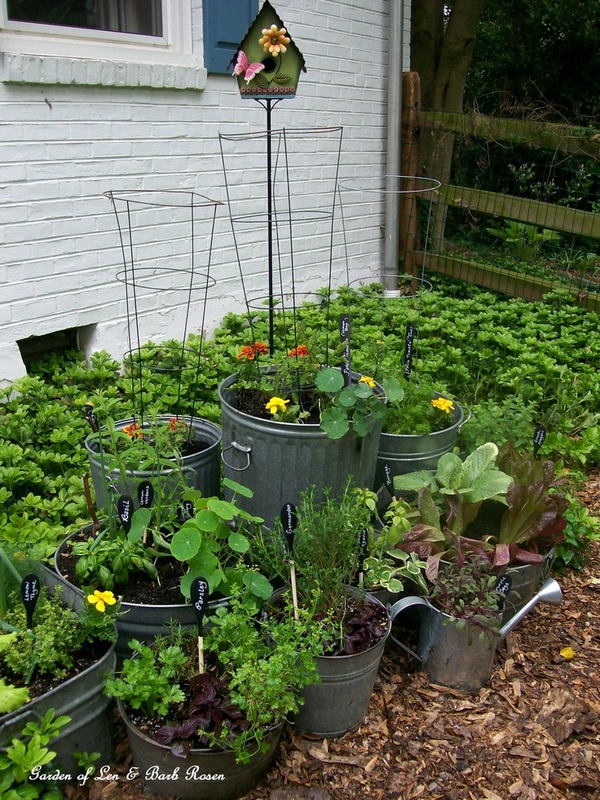 Galvanized buckets & garbage cans repurposed into a container garden! Nestle an assortment of galvanized buckets and cans together! 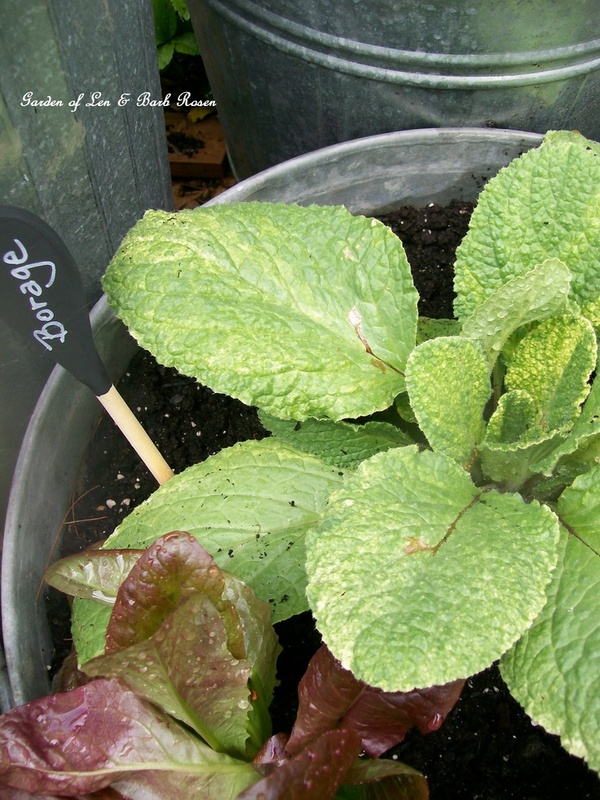 Borage plant marker made from a wooden spoon. If you thought these repurposed containers were fun, you might also want to take a peek at a couple other repurposes in our garden! 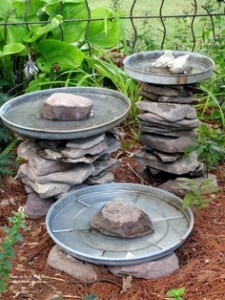 Stacked Stone Birdbaths ~ Click & see how easy they are to make! 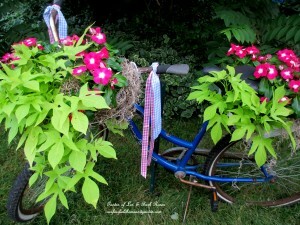 Make a bicycle planter complete with ribbon streamers! I am such a sucker for these galvanized planters I’ve featured this post on my blog.